This one-of-a-kind publication will provide you with top northwest USA and west coast Canadian ports, marinas, and cruising destinations with useful charts of the west coast waterways as well as helpful advice, hazards, points of interest, great destinations, dive sites, boating safety tips and regulations. Find (or avoid) over 600 points of interest (& hazards) to make 2014 your best year ever on the water. 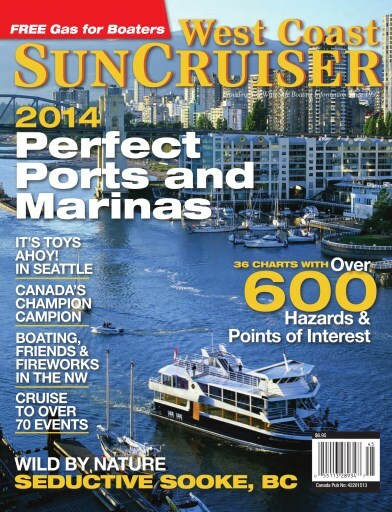 SunCruiser West Coast is available on newsstands across Western Canada and the Pacific Northwest USA.